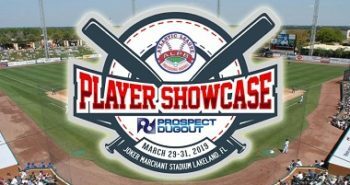 The Atlantic League of Professional Baseball (ALPB) today announced it will host a three-day private Player Showcase from Friday, March 29th, to Sunday, March31st at TigerTown’s Joker Marchant Stadium, in Lakeland, Fla. The event will be presented and co-produced by Prospect Dugout (PD). The Atlantic League Player Showcase will provide a performance platform to highly skilled baseball players wishing to advance their careers with professional baseball organizations. Players with baseball experience at all levels are invited to attend, with preference offered to players with qualifying MLB, AAA and Atlantic League experience. The event will be designed and produced by ALPB managers and coaches in conjunction with Prospect Dugout experts. The Player Showcase will be attended by scouts from most Major League Baseball organizations. Managers, coaches, and player personnel representatives from other professional minor leagues will also attend the event. The purpose of the Showcase is to promote player signings by MLB organizations and Atlantic League teams. MLB clubs may sign a player at any time during the event. At the conclusion of the event, Atlantic League clubs will conduct a player draft. Each ALPB club will sign at least one Showcase player to a 2019 contract. The Player Showcase is closed to the public. Sunday: Live game situation, with umpires; pitchers one inning or no more than 30 pitches; ALPB player draft and signings at the conclusion of the Showcase.